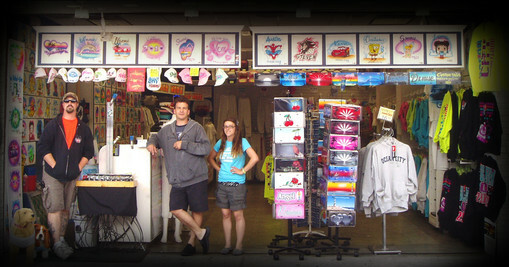 The Original Airbrush shop on the Boardwalk in Ocean City, MD. Since 1987. Big News! Big Island has moved, 3 blocks north to Caroline street and the boardwalk. You can still get the same great Airbrushed t-shirt. I've been busy designing new custom tee shirts for the 2013 season. Stop by and say Hi and check it out. Earl C.
We've moved from this location on Wicomico St. We are now 3 blocks north on Caroline St. and Boardwalk. Come on up and check it out!